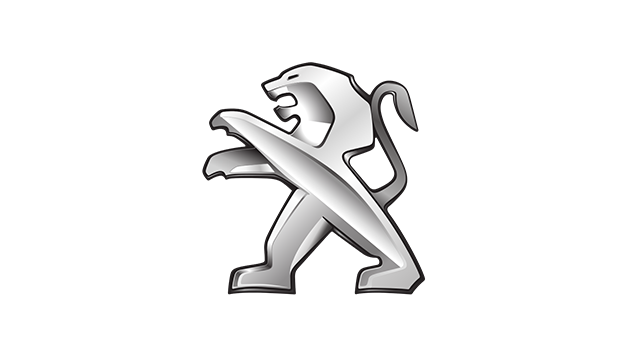 Since childhood, my perception of Peugeot has always been a French car brand that reflects fun driving in a small frame, and its space-age-looking Quasar supercar from the '80s (which had a special place in my Matchbox collection). A few decades later, the once family-owned automaker has evolved into a global name (despite the usual mispronunciation), bagging numerous awards along the way from world rally racing to setting emission standard records. 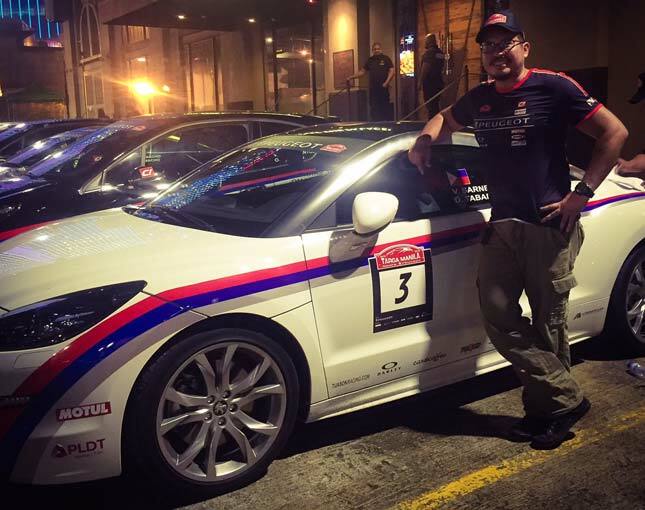 To further Peugeot's placement in our local market as an elite brand, the vibrant people behind its Philippine distribution decided to stage its very first Targa Manila Rally—a race for celebs, media personalities and enthusiasts—last September 24. 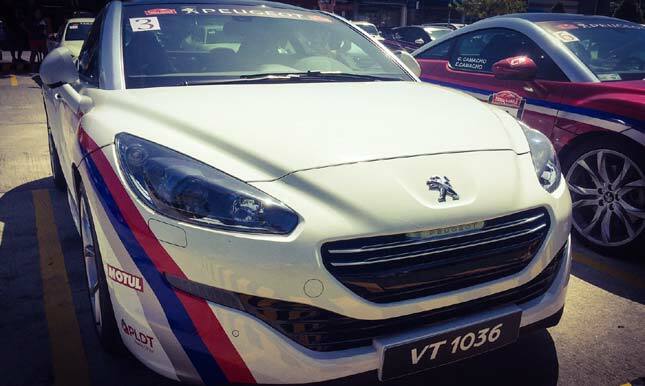 One of the first things I wondered about was what Peugeot I would be driving. 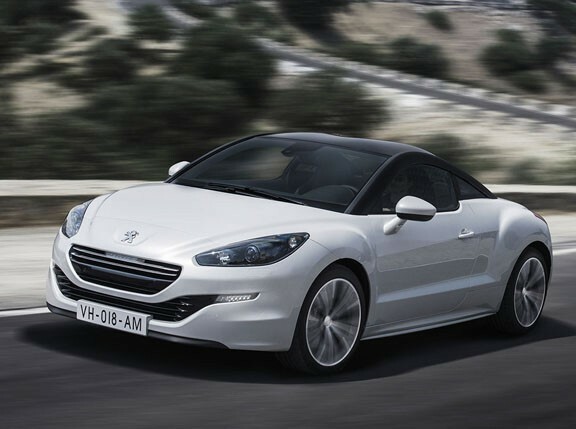 Aileen Urgelles, sales and marketing manager for Tuason Racing, notifies me by phone of the requirements and mentions I'll be driving the RCZ two-door sports coupé. I have to admit, that got the kid in me excited and gave me flashbacks of sultry starlet Amber Heard driving it in the action-thriller flick 3 Days To Kill. Upon our arrival for breakfast and briefing at the Manila Polo Club in Makati, we eat our morning fill and are briefed (and entertained) by officials led by the legendary JP Tuason and Raffy David on the mechanics of the rally race. 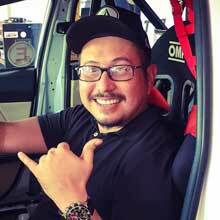 Basically, the whole point of the event revolves around precision driving, timing, wit and teamwork—all of which we needed to conquer the lengthy course stretching from Manila to destinations further North. Each team must carefully follow the directions given to them and keep accurate track of time as they proceed to designated rally points. Upon arrival at each point, the navigator surrenders a time card to a marshal, which will then be recorded for computation of demerits; if you come early or late, you will receive a demerit for each second over or under the time you are supposed to be at said point. In addition, there will be surprise activities as we progress to add fun and to showcase the lifestyle associated with the brand. As you see, this isn't your typical whomever-makes-it-to-the-finish-line-first kind of race. As we all move over to the parking lot to inspect our French steeds for the day (a bevy of 208 GTIs alongside a couple of RCZs), I can't help feel the spirit of friendly competition while being flagged off. We depart one by one according to our car numbers, with the guidance of atomic time. Early on, my driving partner and I realize we both get nauseous reading directions, so we decide to wing it throughout and just enjoy the journey. 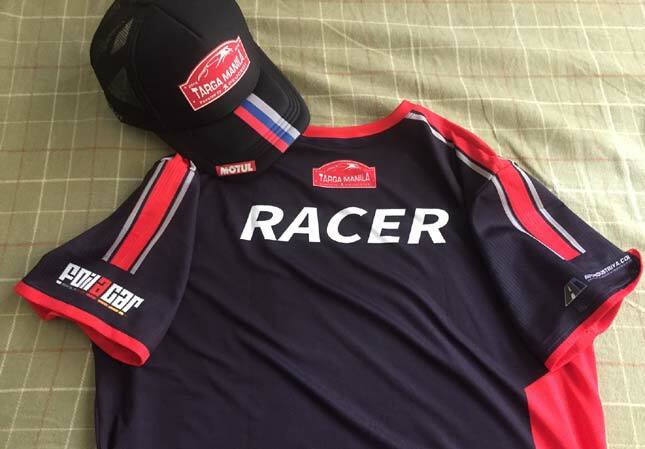 We make a pit stop along NLEX before hitting up the track at Clark International Speedway where we gear up for our first activity—a hot, adrenaline-pumping lap to be finished in precisely 2 minutes and 50 seconds. We move on to our next rally point and are treated to a flavorful lunch at a fine deli. 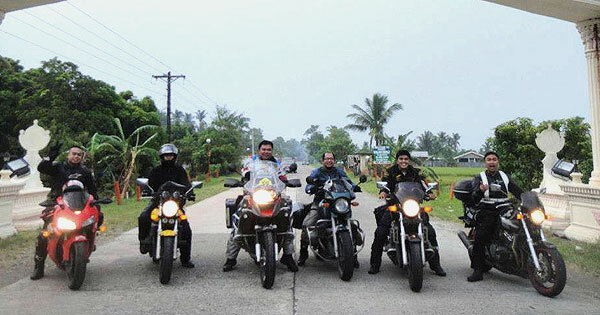 After the gratifying break, we head to Subic to traverse a short course in the bay via jet ski. Thankfully, it's a very breezy afternoon and my seawater-soaked pants dry in no time. 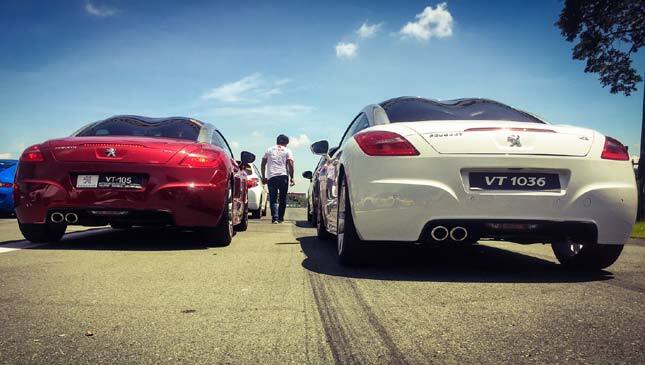 We head back to Clark in good stride to finish off our last activity for the day—a quarter-mile drag race. 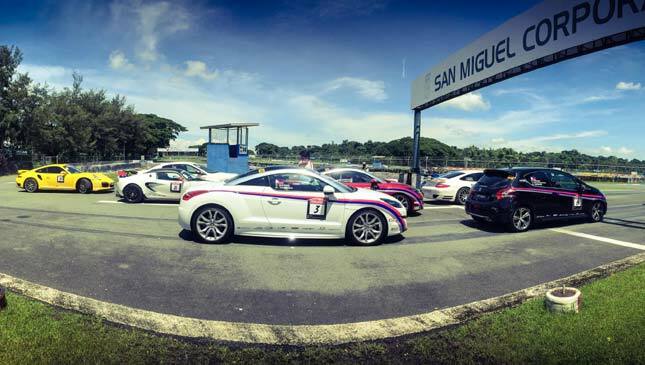 Manila-bound, I finally become accustomed to the performance of the RCZ as its prestigious charm grows on me. It's not just another coupé designed to deliver sporty fun. It's a vehicle that envelopes both driver and passenger in luxurious comfort and refinement with efficient power easily on tap. 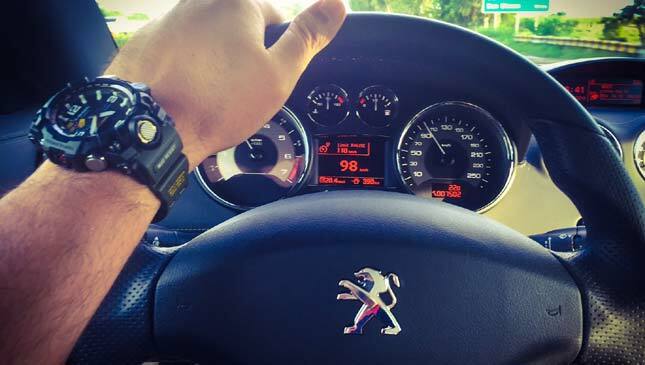 You begin to appreciate what it offers as you drive it as you would any other car. We finally conclude the event at The Brewery in Taguig, where we share our experiences from the race and how our designated vehicles performed. There's a prize for the winner, all of which to be donated to a charity of their choice. 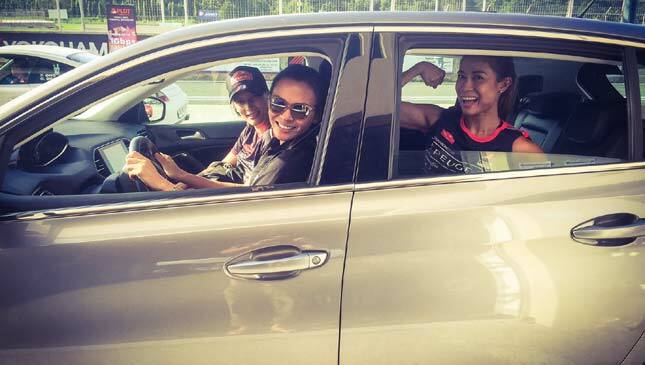 We're already looking forward to the next Targa Manila.